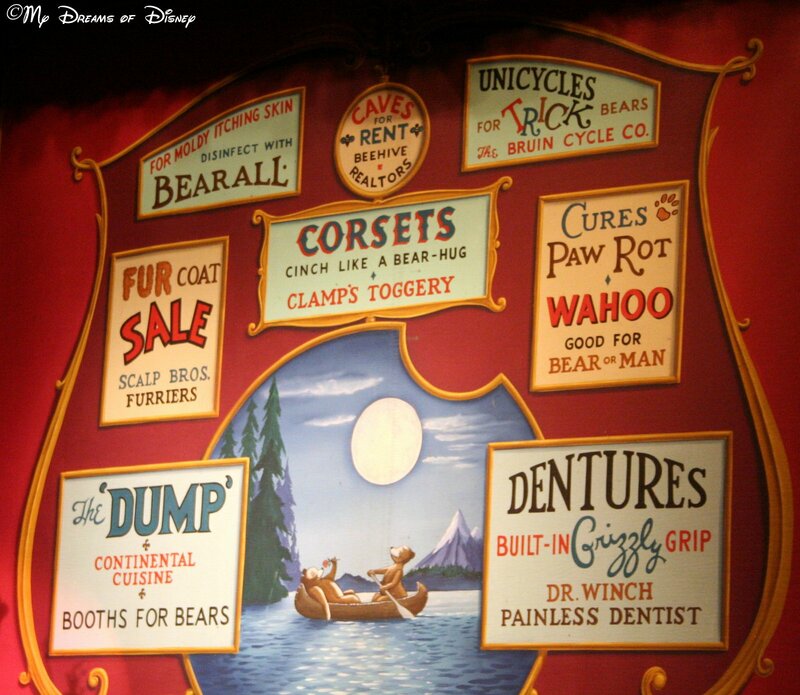 As we continue our look at what makes the attractions of Disney the most unique of any theme parks, today we are going to look at another of the opening day attractions for the Magic Kingdom — the Country Bear Jamboree. The Country Bear Jamboree was originally slated for installation at Disney’s Mineral King Ski Resort, which was a project Walt Disney was working on in the mid 60s. The thought behind it was that the ski resort would need a show of some sort, and since it is the mountains, a bear themed show would fit in perfectly with the lodge and the concept. As a result, Walt Disney assigned the project to Marc Davis, one of Walt’s Nine Old Men. As the story is told, one day Walt Disney walked into Marc Davis’ office, where Davis was working on drawings for the Country Bear Jamboree. Walt took a look at the drawings and laughed because he loved how it was working out. Then, on his way out of the office, he turned and told Marc Davis “Good-bye.” — which was something he never did. A few days later, on December 15, 1966, Walt Disney passed away, and that meeting with Marc Davis was the last time that Marc Davis would ever see Walt Disney on this planet. Plans for the ski resort dried up with Walt’s passing, but as you all know, Walt Disney World continued on, and it was decided that the Country Bear Jamboree would be an opening day attraction at the Magic Kingdom when it opened. When it opened, the reviews were so favorable that it was immediately decided to put a version of it at Disneyland — this is one of the few attractions that I know of that opened at Walt Disney World before it opened at Disneyland. The Country Bear Jamboree is not an attraction that I need to see every time we are at Walt Disney World, but it is one that I enjoy watching every couple of years or so. 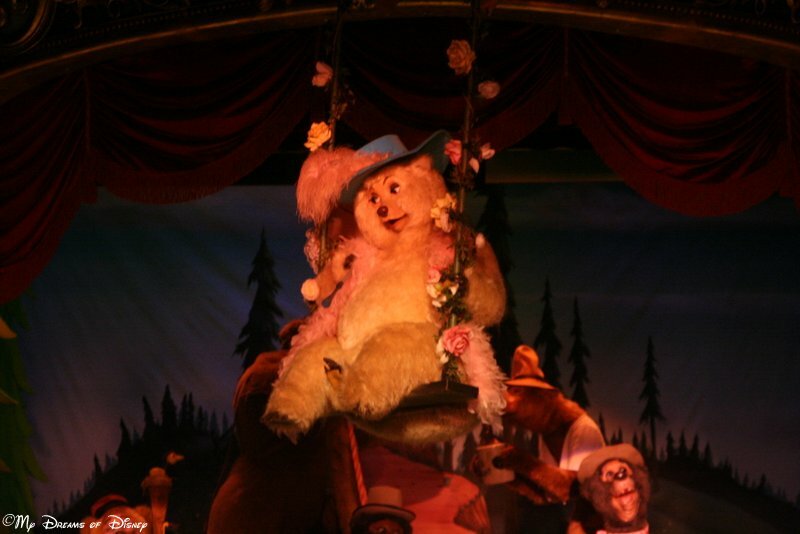 The audio-animatronic characters, coupled with the the atmosphere of the show, and the music, just adds up to an attraction that is full of country goodness! Additionally, if you are visiting the Magic Kingdom during a hot summer’s day, getting in out of the heat is well worth it! So what do you think about the Country Bear Jamboree? Do you have any changes in opinion based on the background information I found? If so, please let me know in the comments, and thanks for stopping by! Great article and wonderful photos, Mike! 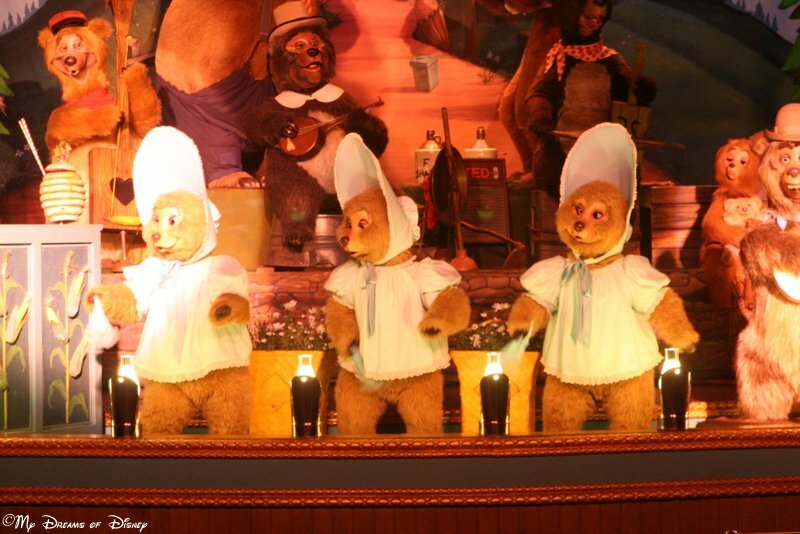 Country Bears isn’t one we need to see every time either, but it is a fun classic with an interesting history! Country Bears falls in the same category for me as Carousel of Progress and The Tiki Room (the original and renewed version). True classics and gems of the park. Don’t need to see it every time, but would be sorely disappointed if they were removed. Next Post: Magical Blogorail Red – Disney Breakfasts!